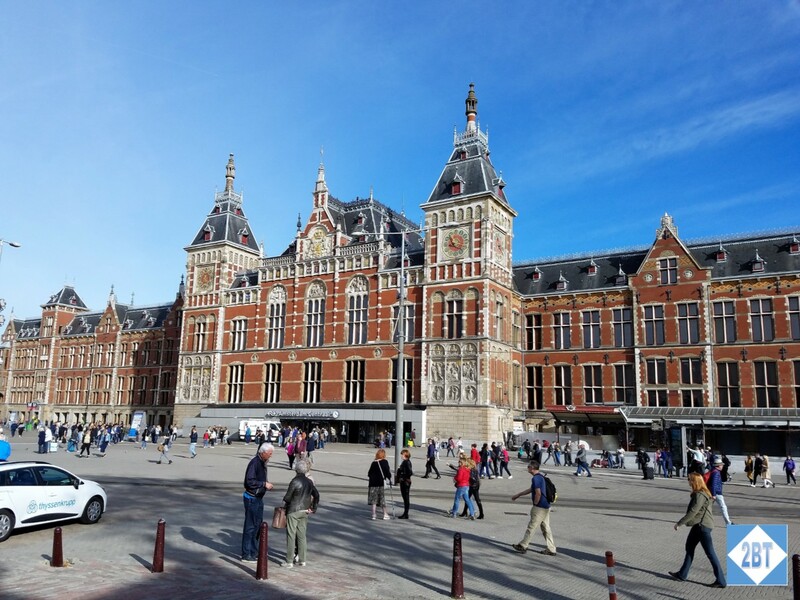 We then walked by the main train station, which is quite striking. We’d take the train to the airport on Saturday evening but until then we just admired the outside. I did take a panorama which showcased the station fairly well but I learned that moving people and a panorama don’t make for a pretty photo! We bought tickets for the hop-on/hop-off bus and that also includes the canal tour. While a couple of us had done a canal tour a few years ago, we liked this one better in that while the narration wasn’t live, you could choose your own language via the plug-in headset. It was nice that this time we weren’t nearly past the features when the narration began in English! Unfortunately we were not in the open-air section of the boat so I didn’t get any good photos. 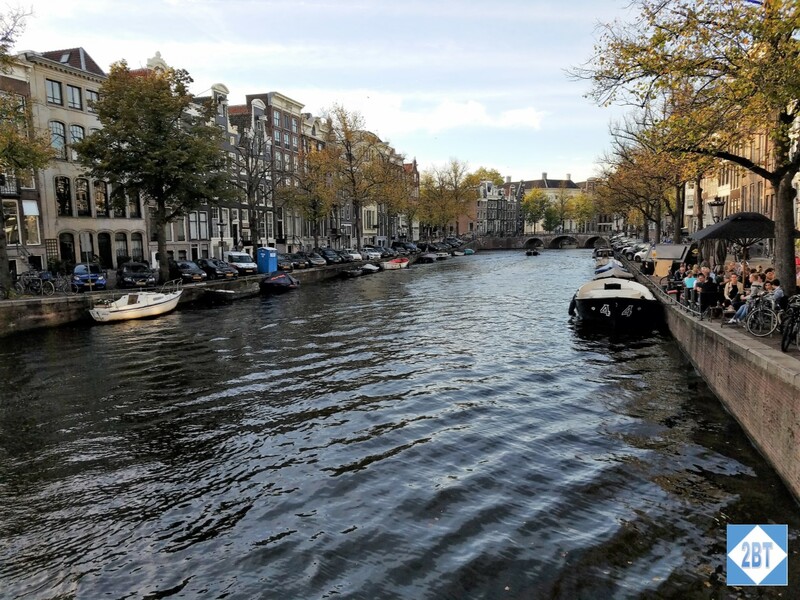 But a canal cruise is a must when in Amsterdam as the canal ring is a UNESCO World Heritage Site. After our cruise we were met by a friend I’d met via Twitter and she lives up on the Holland-Belgium border. It was great for her to come down and spend the rest of the day with us. Without her I doubt we’d have visited our next stop. This is a noticeably large building and I think I would have suspected it might be for government use but I’m pretty sure I wouldn’t have thought it was a palace and perhaps that’s because it was originally built as a town hall. There’s no fence around it and minimal guards. In 1808 King Louis Bonaparte transformed it to a palace and the amazing Empire furniture collection he provided is still used today. The royal family doesn’t typically stay here but it’s the official reception palace and is used for state visits. We did a lot of walking and stopped to buy some Stroopwaffles (yum). We walked to Museum Square and found the iamsterdam sign though of course there were dozens of folks hanging off it. It has since been removed and will make appearances in various spots around the city. The Van Gogh museum was nearby as was the Rijksmuseum. 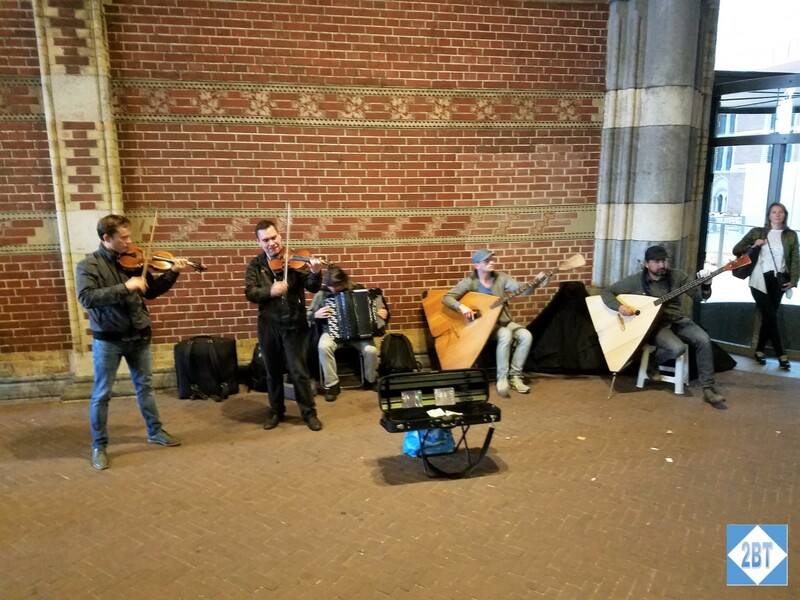 We walked through the passage beneath the Rijksmuseum and found musicians playing there. They were quite good and we’d never seen some of their instruments. After an enjoyable dinner, more window shopping and a brief walk through the red light district (that just makes me sad), we said our goodbyes and went back to the hotel to rest our weary feet. The triangle-shaped instruments are balalaikas. The next morning, though our feet were still hurting we visited the Rijksmuseum where we saw so many classic paintings like those below. Mid-afternoon we visited the Anne Frank House. Pro tip: buy tickets online ahead of time. You’re given a specific time and you don’t have to spend so much time in line. We also paid for a bit of classroom instruction before walking through the house. That was time and money well spent as it was not only a refresher course in what we had already known but it taught us more about the other people in the house and how they all lived together. The program includes the audio tour as well. No photos are allowed in the house and I can’t even imagine how tough it must have been for all those folks to live together in such tight quarters, always knowing that one wrong move could bring about their destruction. The museum is very well done and it’s definitely worth a visit. After another nice dinner we collected our bags from the Kimpton and hauled them over the tram tracks to Centraal Station where we boarded the train to the airport and the Sheraton for our last night in Amsterdam.